2017 - Sunshine Drama School - Creative Drama Classes in Karori, Wellington. 5 tips to learn your script lines inside out! How to know your lines inside out and back to front ready for rehearsal! The first job is to highlight your characters lines so they are easy to identify. Then chunk your lines into sections or scenes to make the process more manageable. Learning lines for your part in a performance requires commitment and dedication to the company or team of actors you are working with. 1. Verbalising your lines will cement them. Repeat saying lines aloud to yourself. Try looking into a mirror as you speak. Mix up your voice changing your pace, pitch or volume. Speak with different emotions or sing your script. Say lines in different locations, the car and the shower are always good spots! Practicing a little and often is a good approach. Studies have shown that instead of counting sheep - learning lines before bed leads to optimum recall. 2. Move around as you say your lines. This helps to find a rhythm as you speak and assists with retaining dialogue. Try moving in different ways or at different speeds. Say your lines doing various activities like dancing, tidying up or putting laundry away. 3. Have someone read the line before and after yours so you learn the script sequence and your cues to speak. 4. Write your lines out! Putting pen to paper puts the lines in slow motion enabling you to ponder the plays characters and their dynamics. 5. Make a recording of your script and listen to it! (Depending on script length, either a whole cast recording could be made or you could record yourself reading the script). This also helps you to reflect on how you are delivering your lines. Becoming confident with your lines enables the rehearsal process to flow with ease, so that full concentration can be focused on extracting the best performance from an actor. The ultimate guessing game - Charades! What I like about the game Charades, is that that can be enjoyed by young and old alike. Charades is word guessing game where by the performer mimes (no speaking) out a word, action or a phrase. I have played it with primary school classes, creative drama students and with my own family at home! Primary teachers, it makes for great transition time game while you wait for everyone to join you on the mat. There are many variations of this game. With under tens I keep it simple withdrawing a card from a hat or a box. Cards typically have an animal, action or phrase written on it. With under fives and junior primary school, I use picture cards with the word underneath. The performer selects a card and acts it out whilst the class watches and offers their observations. With bigger groups, its best to limit guesses to three so that you can let the next student choose a card and the game can continue. "Charades for Kids" is an essential for your teacher tool kit. Here are some cards I made when I couldn't find my copy of the game. Keep score if you wish! Dramatic play with Building Blocks! What is Block Play and what are the benefits? Playing with single unit building blocks is a valuable learning activity for all ages with so much scope for creativity. They are available in different materials, shapes, sizes and colours to best suit different age groups. Using blocks is a fun, imaginative and engaging way that enables cognitive development to take off. It develops fine motor skills, hand - eye coordination along with planning and organisational skills. It enables children to develop emotional and social skills (respect, turn taking, and cooperation) when working with others. Building with blocks develops concentration, persistence and patience as children work through the process of overcoming challenges and finding solutions. It teaches children that we all have different perspectives as they share their ideas and listen to others and it of course brings a great sense of satisfaction to share in the happiness of completed projects! What can block play tell us about our children? What is their consistency in application / level of concentration? Method of construction - any planning? How do they overcome challenges? Do they take take risks? Are they forming Independent work habits? Do they prefer to work alone or collaboratively with their peers? Is the child a leader, follower or a collaborator? Tell me all about your building? I wonder why your structure is falling down? I've noticed you keep using that blue block, could you try an different one? Tell me about your jungle? How will the monkey's swing from tree to tree? This part is awesome, can you tell me why you built the tunnel like this? What is your favourite part of your construction? Is their anything you would like to or could add? How blocks can be used for dramatic play? Use picture books to fuel imagination. Build a scene from a story. You could display the book as an inspiration point. For example, build the forest from The Gruffalo. Using a story such as the Three Billy Goats Gruff, build a bridge with blocks and act out the story using popsicle stick goat puppets or change the story up and choose different animals. Stick a full sized photo of a child onto a block and cover with wide tape or clear book cover. The children can then put themselves and their friends into the construction. For example if the children have made a town, the block people can go shopping. Great for role play! Use plastic animals, dinosaurs or toys, stuffed animals, action figures to play in the block constructions. Build a zoo, jungle or park etc to suit the toy. Model creating a story line with the toys and play alongside children to develop their understanding of plot development. Make roads in all sorts of shapes and patterns. Drive the cars down the road! Create a story around this. Where are the people in the cars going? Are their any stops on the way? Provide pictures of constructions such as towers, bridges, sky scrapers, castles etc and let this be the start of where the imagination goes! Throw fabric over a block construction and create a scene. Maybe its a dark gloomy forest or tall castle nestled in the hills. Who lives there? What is the characters problem? How will they solve it? All great oral narrative story telling development. You don't just have to use wooden blocks to build. Here are some things that you might like to add to your collection: DVD covers, CDs, tins, paper towel rolls, cracker boxes, yogurt pottles. Wrap blocks in tin foil or paper and role play birthdays or Christmas! This is one of my little one's favorite things to do! Use diggers and the like to move the rubble (blocks) at the construction site! Some kids are big transporters and love to move blocks and make piles! Make towers outside to form a shadow and draw around the outline with chalk. Using a large shallow tray, shaving foam, and blocks (along with supervision!!) let the kids have fun using the foam like cement to build, build build!! Draw a shape and get the children to fill the shape with blocks (can make it into a challenge, racing against the clock or other friends) Get children to draw their own shapes and fill them. Use blocks to develop maths' concepts: make patterns, sort and classify blocks by shape and or colour. Lie a mirror on the floor, add blocks and check out the reflections! Take pictures of all of the magical and intricate structures and scenes that grace your lounge or classroom floors - capture the success, creativity, learning and fun! Creative Commons image used courtesy stevendepolo on Flickr. Sunshine Drama offers creative drama classes for preschoolers to Year Eight. Classes enable students to explore creative thinking, build confidence and become effective communicators and performers. Our term four season starts in late July at the Karori Recreation Centre and you are welcome to come along with your child to experience a lesson with Jenae Ryan and Sunshine Drama at no cost to you. Here's what makes Sunshine Drama so sunny! To join us for a free / no obligation ‘check us out' lesson please contact Jenae Ryan on 0274 380 533 or at sunshinedrama.nz@gmail.com. If you do decide to enrol your child, fees will be charged on a pro-rata basis for the remainder of the term. 5 fun, economical & creative school holiday activities in Wellington! 5 fun, economical & creative school holiday activities ideas for July in Wellington! 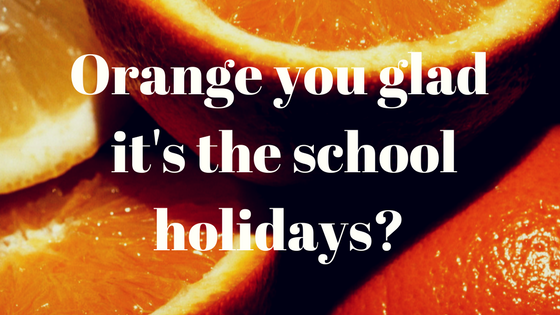 School holidays are just around the corner. Check out some of these great activities happening around the capital this July! 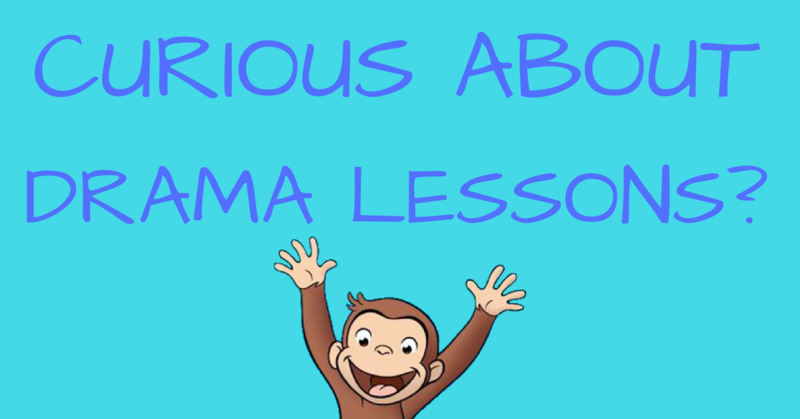 If you’ve found this page, chances are you're looking to convince yourself why you should send your child to drama lessons. Frankly if you’ve got this far, just send them! Send them to Sunshine Drama! But if you need to know some of the benefits that your child may gain from taking classes, have a read below. Accomplishing role play, movement, mime, improvisation, team work and using props imaginatively etc, provides fun and meaningful learning experiences that lead to students feeling confident, happy with a strong sense of self esteem. Children will learn to think on their feet. Or head, depending on the exercise! Through mime (conveying action, character, or emotion using only gesture, facial expression, and movement), students will develop their non verbal communication skills. Drama classes provide the opportunity to express their creative energy with out fear of failure in a supportive and positive environment. Learning by doing is one of the greatest ways to remember something. Learning how to be confident as you become confident is treasured learning that will stay with a child forever. Fast motion. Stop motion. Slow motion. Kids will learn how to change their gears mid moment, honing their ability to listen and follow instructions. If there’s one fear adults often have, it’s speaking in public in front of an audience. Creative drama helps children with learning to use their voice effectively and speak and perform in front of their peers. As students do this more regularly, the more confident they will become. 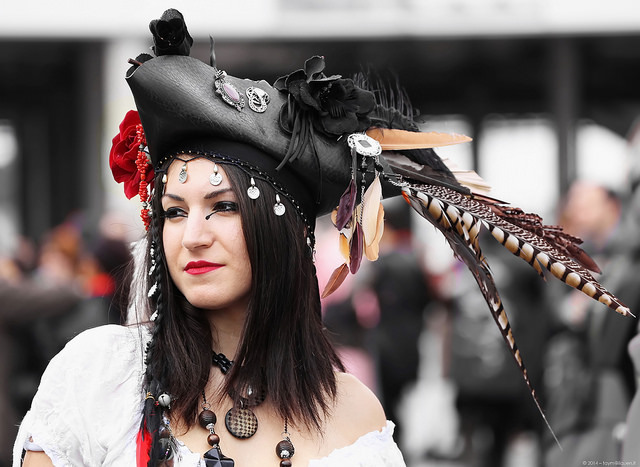 Who doesn’t love dressing up? A child’s imagination knows no bounds. They will learn to create the most complex characters from different ideas, scene or props. Through a fun, playful environment, the true creative level of a child will come out. Carpe Diem has almost become a clichéd saying, but seizing the day and moment is what drama is all about. Letting children have their own moments of self-discovery and growth as they share the fun and joy that drama brings is truly a special gift. Are you looking for ways for your students to use hula hoops? These activities are great for both drama classes and as part of a teacher's classroom programme. There is so much more to Nursery Rhymes than meets the eye! Sure, it's great fun to dissolve into giggles when you tickle your child's foot at the end of 'This Little Piggy went to Market' but there's also immensely valuable learning experiences that occur. When a child hears and learns nursery rhymes, they are being exposed to new words (muffets and tuffets!) which will help them to become great little communicators as they expand their vocabulary. Through vocabulary extension, they are strengthening their understanding of vowels & consonants and their connection in forming words. This in turn skips hand in hand with developing listening skills, as they concentrate on adding new words to their repertoires. Rhymes enable children to practice effective speaking as they lend themselves nicely to developing pitch, volume, inflection and rhythm. So singing and sharing these rhymes is a great way to help your child to learn to speak! Nursery rhymes help children learn to recognise patterns (and/or rhyming couplets) which they can more easily commit to memory and recall the next time they say the rhyme. 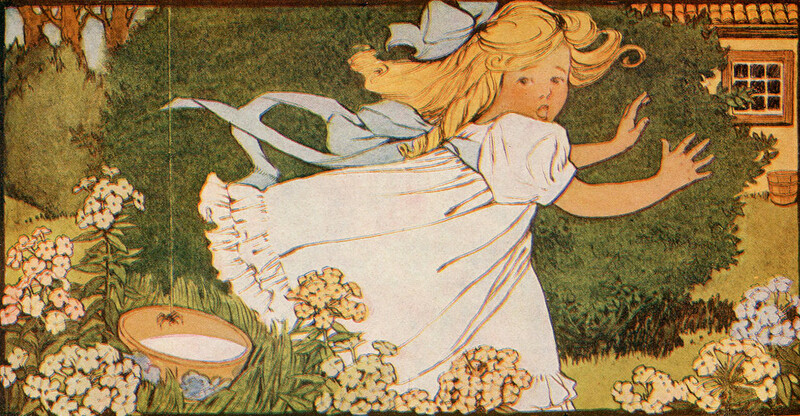 Nursery rhymes also tell a concise story that can be followed very simply by the child. They usually have a beginning, middle and end. These sequencing of events helps a child to understand how stories are told. By understanding the sequence, it helps with direct recall of the rhyme. This translates across to reading. Armed with the knowledge of how rhymes are told, the child is more readily able to comprehend story through the written word and of course it will hold them in good stead when they start writing stories of their own. Other benefits of rhymes include learning simple mathmatics concepts "three bags full, one for the master" etc and exposure to one of my favourite parts of language, alliteration. Think "goosie goosie gander" or of Rudyard Kipling's "great gray green greasy Limpopo river". A fantastic way to broaden the experience of a nursery rhyme is to encourage your child to draw the story of the rhyme on paper and then discussing it with them. Drawing characters and events from the rhyme can consolidate the many lessons that can be taken from rhymes. For example, by drawing the clock for 'Hickory Dickory Clock' concepts regarding time can be explored or ' Five Little Ducks' is a great way to explore counting to 5. Formal research has shown time and time again that children do most of their learning in the first 8 years of their life so it is absolutely vital that children are exposed rhymes & stories of learning consistently through their early years. Many nursery rhymes feature action movements and so are an effective way for the child to practice their motor skills. Using one's hands to make twinkling diamonds in the sky or to use our bodies to dramatise Incy Wincy spider climbing up the water spout are not only fun but help the child to engage their imaginations and explore movement creatively. Sharing nursery rhymes, songs, limericks, poems and stories as part of a daily routine is one of the most important things parents and educators can do for children. Nothing is more important for your child than setting them up to become life long learners and confident communicators and rhymes provide a great avenue to become just that! Here's a great list of nursery rhymes to try out.